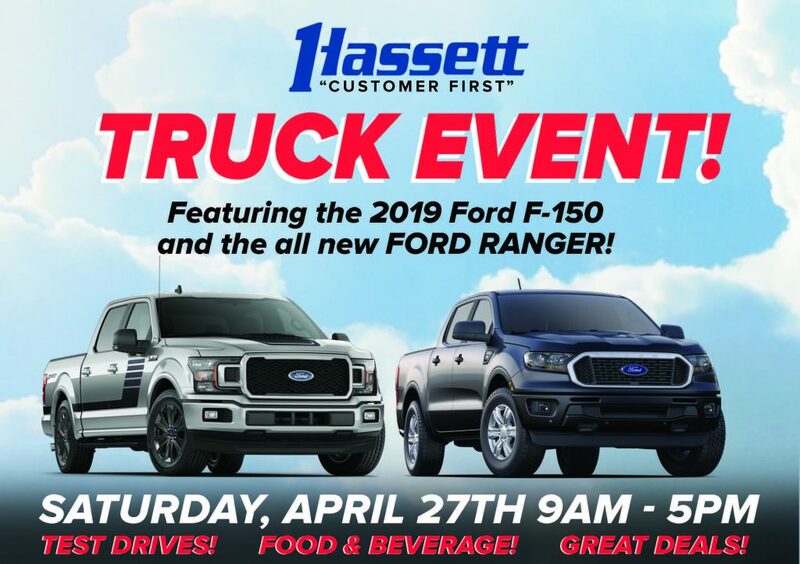 Don’t miss Hassett’s BIGGEST TRUCK EVENT of the year – this Saturday, April 27th!!!! Doors open at 9am and we’ll be featuring the 2019 Ford F150 and the All New Ford Ranger. Come for the TEST DRIVES, stay for the great FOOD AND BEVERAGES and leave with A GREAT DEAL ON YOUR ALL NEW FORD TRUCK!!! Long Island’s rock station, WBAB, will also be here and they’re bringing their PRIZE WHEEL! WHAT A WAY to spend your SATURDAY! Lease the 2019 Ford F-150 4×4 Crew Cab truck for only $289 per month for 36 months. It has a 2.7L V6 ecoboost engine, 10-speed auto, 101 Equipment Group, Class IV trailer hitch, STX Appearance Package, Sirus, 6600# GVWR Package, Rearview Camera, XL Sport Appearance Package and so much more! AND WHO CAN TURN DOWN 0% financing up to 72 months on the F-150! The All-New 2019 Ford Ranger is IN THE HOUSE! With Best-In-Class Gas Torque, its THE MOST fuel efficient gas-powered midsize pickup in America. That’s right, the Ranger is now at Hassett for an unbeatable price of $35,999! This truck is ready for any adventure with a 2.3 ecoboost engine, 10-speed auto, 101A Equipment Group, Trailer Tow Package, STX Appearance Package, Sync, rearview camera, FX4 Off-Road Package, running boards and lots more. AND THAT’S NOT ALL! 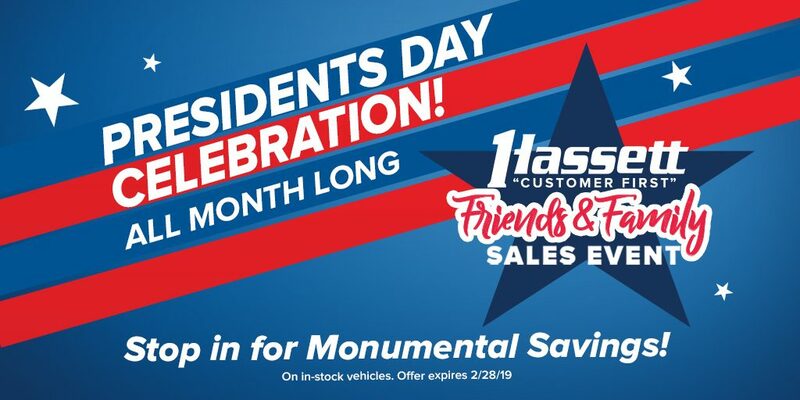 We have many other offers going on at Hassett this month! To honor our Military and First Responders we’ve got $500 in Bonus Cash available. If you have a student in college, ask about our purchase program! EVERY SINGLE purchase or lease is backed by our CUSTOMER FIRST PROGRAM which includes complimentary oil & filter changes, NYS Inspections, Complimentary Loaner cars, 24/7 Roadside Assistance and so much more! Hassett”s Commercial Truck Service Center is Long Island’s only dedicated 12,000 sq ft facility! They have early drop off and will have you back on the road quickly! SO mark your calendar so you’re sure to stop by on Saturday, April 27th to get a GREAT DEAL ON A NEW FORD TRUCK!